Welcome! The women of Alpha Xi Delta welcome you to the Theta Pi chapter at Christian Brothers University. Alpha Xi Delta inspires women to realize their potential every single day through ideals our founders created to encourage the pursuit of excellence both individually and collectively. Alpha Xi Delta consistently provides opportunities for sisterhood, leadership, knowledge, and service; over 150,000 women have taken hold of those incredible opportunities by being initiated into our beautiful sisterhood since our founding in 1893. I am immensely proud to call the women of the Theta Pi chapter my sisters. These women show fierce courage, graciousness, and peace all the while excelling academically, philanthropically, and socially on our campus. Our chapter has worked vigorously to serve our community, strengthen the bonds of our sisterhood, and improve our wonderful Christian Brothers University. These women give away joy, warmth, generosity, and sisterhood with reckless abandon to everyone they meet. I am already so grateful for this sisterhood, full of driven, talented, and loving women; I am forever blessed by the lifelong friendships I have made in Alpha Xi Delta. Again, welcome to our little corner of the web. We hope you enjoy looking through our website. Please feel free to contact me if you have any questions– whether you are a young woman considering Greek Life at CBU, one of our amazing alumni yearning for the latest chapter update, or even a family member or a friend of one of my incredible sisters, we are so thankful for your interest and support of our chapter. 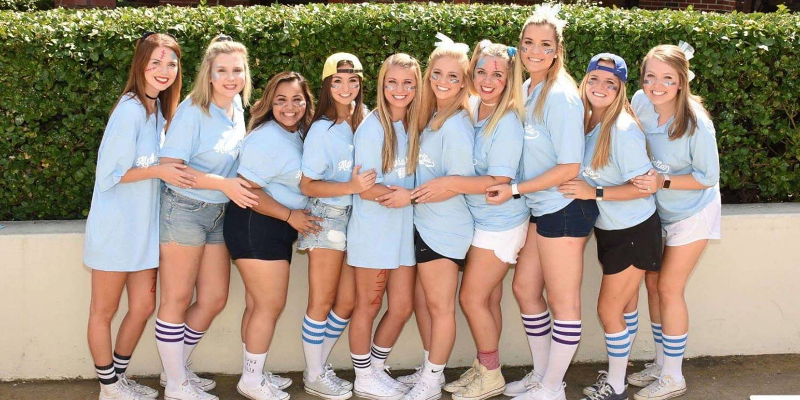 At Christian Brothers University, Alpha Xi Deltas are a group of unique women who join together with one common interest: the love of Alpha Xi. 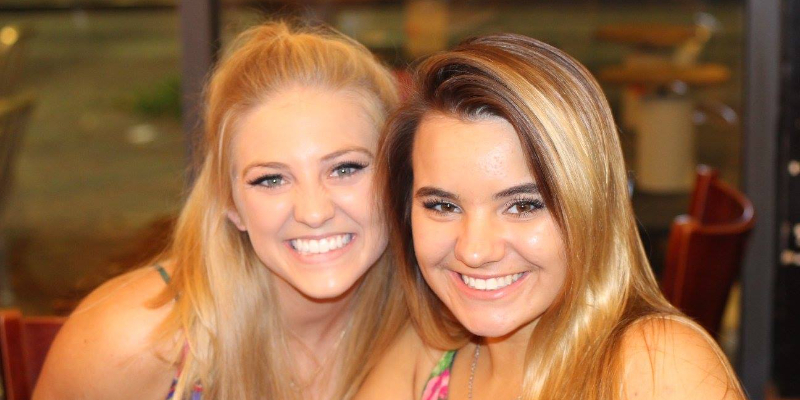 We are a diverse group of girls who strive to learn from each other in our everyday lives. Each member of AXiD has something unique that has made our organization what it is today. 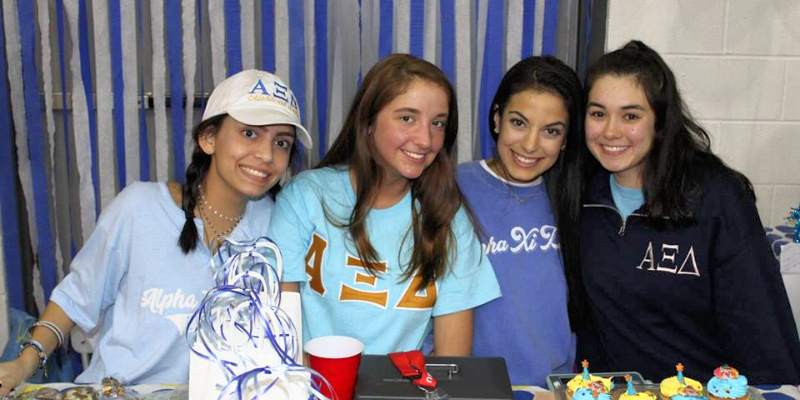 Alpha Xi Delta has been “inspiring women to realize their potential” since 1994 at Christian Brothers. 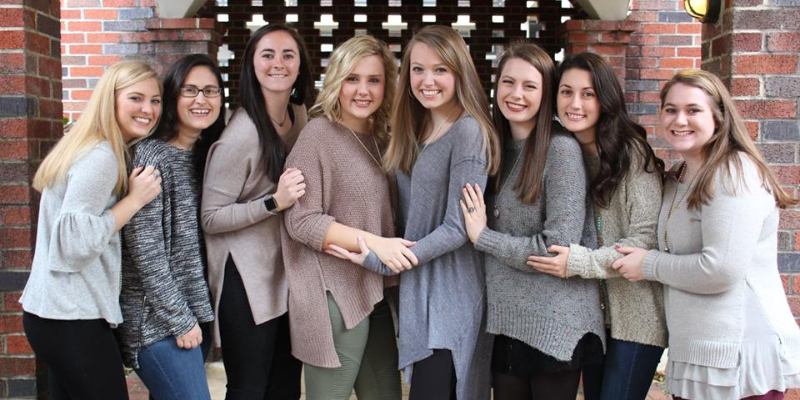 We appreciate you visiting our website and hope you can get a little taste of what it’s like to be an Alpha Xi Delta. If you have any questions do not hesitate to contact us.